Colonel Martin Newman MBE - AJEX National Chairman - Martin is a Volunteer officer who has served with the Army Reserves and Army Cadet Force and is currently Colonel Cadets Gibraltar attached to The Royal Gibraltar Regiment. He served as chairman of the Jewish Committee for HM Forces for twelve years during which time uniformed commissioned Jewish chaplaincy was reintroduced and kosher operational rations were made available to Jewish troops. 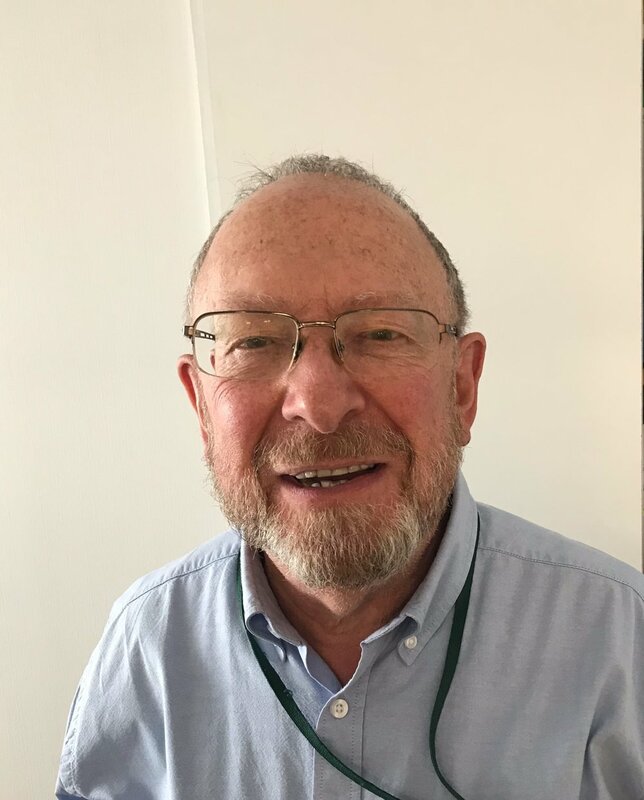 Elected as National Chairman of AJEX in 2017 he is passionate about the continuation of AJEX into the future as a relevant and active part of Anglo-Jewish life and culture. Major Danny Yank - Chief Executive. Danny Joined AJEX on leaving Regular service with the British Army. He has served with the Royal Regiment of Artillery for 15 years and is now a reservist Officer. he currently runs a Combined Cadet Force in Devon. He is active in the Armed Forces Jewish Community and holds the AJEX seat on their governing committee. He has a BA Hons in Politics & Economics (EXON) and a Masters in Political Economy (Toronto). Danny remains in role as a Naval Gunfire Liaison Officer(NGLO) but also works across defence and the civil service in dispute resolution as a formal mediator. He is married and has two young children. He enjoys running, open water swimming and hill walking. Paula Kitching (MSc) - Education & Outreach Officer. Paula is a historian and educationalist, specialising in war, genocides and cultural history. Paula has written for educational publications, books, museums, and website publication. As a freelancer Paula has advised, initiated and led projects on the Holocaust, 20th century conflicts and minority and ethnic histories. She has spent the last few years working on the We Were There Too Project about the British Jewish contribution to the First World War and is the author of the book 'Britain's Jews in the First World War.' Paula is a battlefield guide and travels with groups across Europe. In her free time she reads, cooks, swims and helps to run her children's school history club. Colin Shieff- Welfare Officer. Colin has been Welfare Officer at AJEX since the beginning of 2018. He was consultant neurosurgeon at the Royal Free Hospital and at the National Hospital for Neurology and Neurosurgery in London until he retired from the NHS in 2016. Commissioned into the Army Reserve (Territorial Army) in 1990, he reached the rank of Lieutenant Colonel. He served with British Armed Forces and multinational NATO forces during conflicts in the Middle East and Afghanistan and became Defence Consultant Advisor in Neurosurgery in 2009. He received the Territorial Decoration in 2007 and was awarded the Queen’s Volunteer Reserve Medal in 2011. He is also a Trustee of Headway, the UK national brain injury charity, and President of the Military Surgical Society. Michele Lobl - Remembrance Officer & Administrator. Michele is an experienced professional with over 25 years’ experience operating at a senior level having spent 10 years in Commercial Management with Marks & Spencer plc, she then changed career direction to become a Courses Organiser at City University Business School then moved her career across to City Law Firms firstly Slaughter & May from where she was headhunted to SJ Berwin & Co, who in 2015 joined King & Wood to form the global law firm King & Wood Mallesons. As Head of Events & Client Hospitality at global law firm King & Wood Mallesons she worked closely with legal and business development professionals to create events that supported core business objectives, fostered client engagement and drove the brand. Michele took early retirement in 2016 to launch her own Consultancy Michele Lobl Associates. Michele brings to the role a passion and enthusiasm together with a wealth of relevant experience. Michele’s parents both served in WW2 – her father Benjamin Morgenstern as a Quarter Master Sergeant – Kings Own Royal Fusiliers in Italy and her mother Norma in the WRACS. Michele is proud to continue their relationship with AJEX and help take the Charity forward into the next Century.